… To top it off, we will provide supper (included in the price of your ticket). 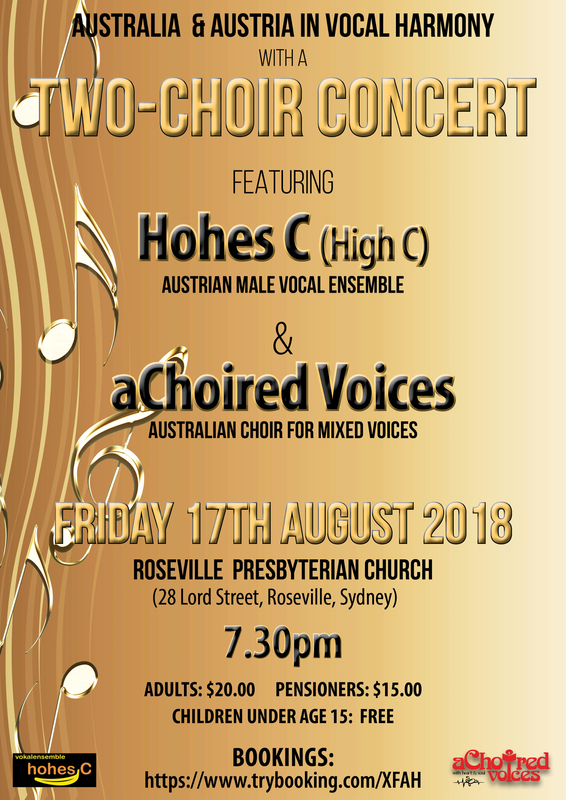 Come hear the award-winning Austrian male vocal ensemble, Hohes C (High C), in concert with accomplished Sydney choir, aChoired Voices. The Hills are Alive Choir Festival is a fun afternoon celebrating the joy of music. Six Sydney-based choirs will each perform a selection of pieces, ending with a mass choir item. 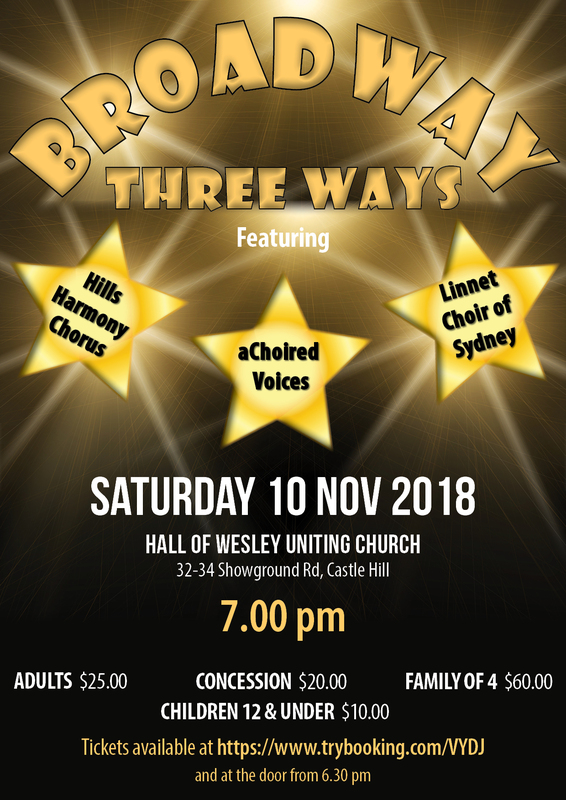 aChoired Voices are joined by the Hills Harmony Chorus and the Linnet Choir of Sydney to bring you a night of Broadway greats. 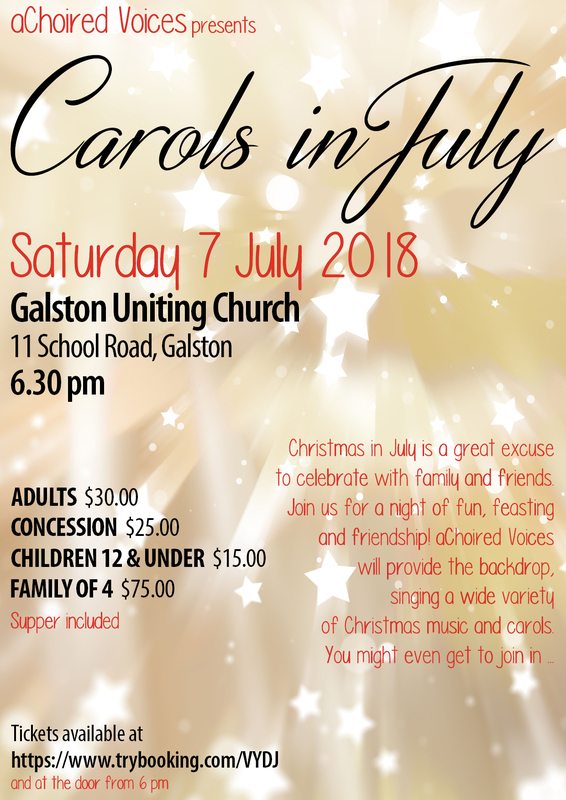 Each choir will perform a selection of songs and the evening will end with a spectacular, combined number. These are all accomplished choirs who are bound to deliver a high standard of singing. Join us for Broadway Three Ways! Combined performance with the Strange Weather Gospel Choir from Canberra. 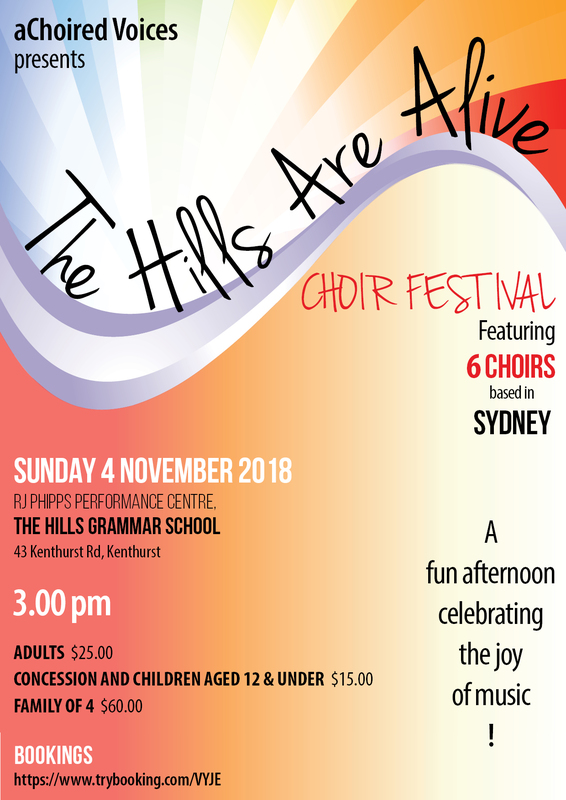 The Hills are Alive Choir Festival is a fun afternoon celebrating the joy of music. Six choirs from Sydney’s Hills District will each perform a selection of pieces, ending with a mass choir item.